One key element in all of Cardinal John Newman’s Lectures on Justification were aimed at Martin Luther who, Newman maintained, was a major source for the disunity that was occurring in the 1830s in the Anglican Church. Though Luther’s church was a separate entity, and he had been dead for nearly 300 years, Newman contended that Luther’s doctrine of salvation differed significantly from both the Anglican and Roman Catholic views. Newman also pointed out that Luther’s theology was looked upon by Anglican clergymen as “the intellectual birthplace of the 19th century Anglican Evangelicals.” But Newman called Luther’s teachings “an utter perversion of the truth”. Newman also questioned what Luther meant by his contention that a person is saved by faith alone (justification). Here, Newman showed his first leanings toward Catholicism, for while he agreed with Luther and the 11-th article of the Thirty-Nine Articles, he also concurred with St. Augustine and other Fathers of the Catholic Church that sanctification was also required. Man could not be saved by faith alone. In effect, Newman ”deconstructed” Luther deliberately and methodically. He used Luther’s own words against him in his Oxford Movement tracts, in his lectures and in his preaching. He did so, however, only after carefully reading Luther’s works and making use of it within the specific context of the aims and objectives of the Oxford Movement. 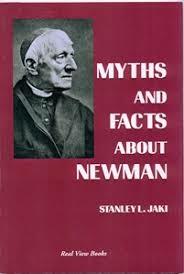 Thus, Newman became a tower of strength among the three Tractarians, boldly disputing and confronting the Anglican Church’s Thirty-Nine articles and attacking Luther’s influence in them. Newman held that the spiritual life begins with a knowledge of self, and preached in his tracts that we cannot call ourselves Christians until we have such knowledge. Paper Masters writes custom research papers on Newman and Luther and write about the battle between Cardinal Newman and Martin Luther.